It would be super if all we needed to do was launch our website and then sit back and let the new clients roll in. But since so many people are doing this, rising to the top of the pack, and getting noticed by potential clients, takes a bit more nuance and understanding. One of the most effective ways that you can start positively influencing potential client’s decisions to work with you, and make sure they are able to find you online, is by simply offering valuable content that your audience finds helpful. Share your knowledge and give people a reason to come back for more. 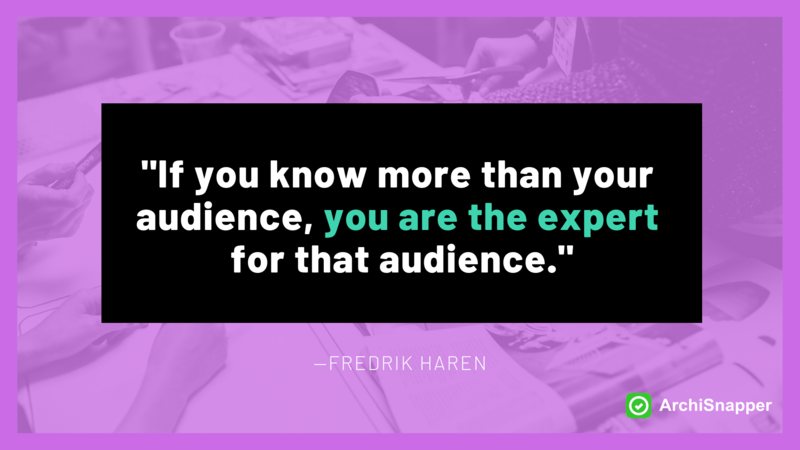 By creating great content, you can build your credibility as an expert, which will help your potential clients trust you. Once they know and trust you, they are more likely to want to work with you. But how do you offer and share valuable content? What exactly does this mean and how do you do it? When we say “content” what exactly does that mean? When we say content, we mean any idea or piece of information expressed through an online medium. This generally includes writing and media. We are going to explore writing articles, with some very practical examples, in the next section, but in short, these are articles you post on your blog. You want to write about things that your potential clients need to know about, but written so well that they genuinely want to read it. Videos are a largely untapped form of content for architects because many think it’s expensive and difficult to produce—but in this day and age, you can make semi-professional videos on your smartphone. Creating video content is easier than ever before. The idea is to show clients who you are, teach them something, and show them what you can do. You can post these videos on YouTube and host them on your website, or use them as Instagram or Facebook stories—it’s easier than you think. Want to go deeper into how to start using video in your content marketing? Here is a great guide. 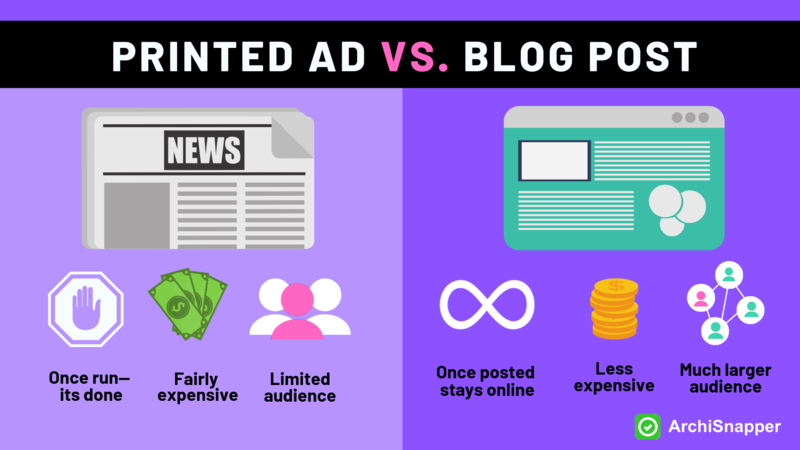 What’s the difference between a blog post and a webpage? A webpage is for static information, such as a guide or case study. A blog is interactive and conversation oriented, allows clients to leave you comments. An example of a blog post might be “The 10 biggest mistakes novice roofers make”, which would be a list of common mistakes, whereas a webpage might be “The Complete Guide to Roofing Maintenance” which would have different diagrams, and videos, tips, quotes from experts, and links to additional information. These are generally long, vertical graphics that visualize information. Usually they include statistics, charts, and graphs, but once again—you are only limited by your creativity. Take a look at this example “The do’s and don’ts of Roofing”. You can hire a freelancer to create it for you, or try it yourself with the templates on Canva. Making a podcasts takes a bit more time and investment, but once again, there are many tools, like ZenCastr or Cast which make it relatively straightforward to produce. Even if you only posted a podcast once every few months—it will give you visibility to an entirely different audience. And if you are skilled at talking more than creating graphics or writing, it can be a great option. While arguably better for driving more clicks on to your website, content does not always have to strictly be posted on your own website or blog in order to be valuable for potential clients. There are plenty of platforms with loads of people already using them, where you can share your expertise. And usually, the people who are reading about the subjects are already investing in learning more, making them ideal target clients. For example, do you know the answers to these questions? What’s the best siding to use on my new house, vinyl, stucco or brick? What is the difference between lvl and glulam? What are some of the most creative construction ideas to cope with lack of space? What is the difference between a sewer line and a water line? Hop on to Quora and offer some insights. On SketchUp you can offer advice to potential clients about whether a specific project really needs an architect, or whether it is so straightforward that a layman could do it, once again, showcasing your expertise. You could also create white papers, ebooks, or an app—all of these are forms of content and ways to share valuable information with your audience. Today, however, we are going to focus on how to start a blog, write articles, and share your content. It is one of the most efficient ways of building your credibility and raising your SEO which wil help you reach new clients. 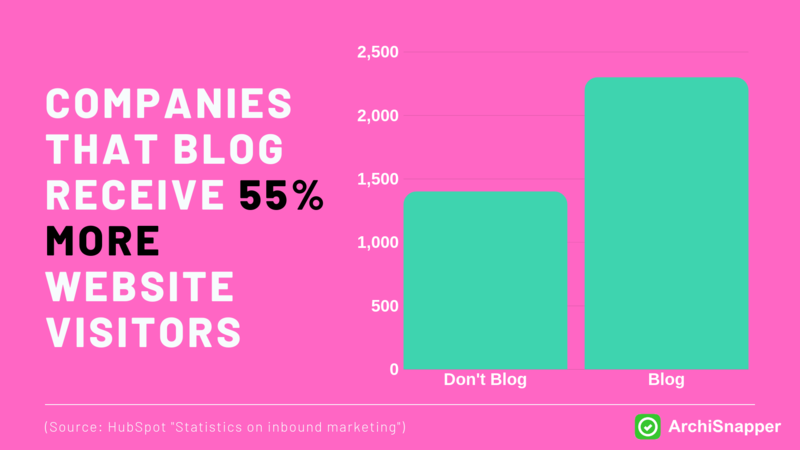 According to a recent study from Hubspot, businesses that blog get around 55% more website visitors than do those that don’t blog. Shoot for one article either every week, or even every other week. But just make sure you write. Don’t get discouraged and give up after two months. Go into it knowing you’ll likely see very little result at first. Keep on going… and in the long run it will pay off. Gradually build your audience, and you’ll eventually reap the benefits—just like this guy, who once started from nothing. Psst: Don’t have a blog yet and not sure how to set one up? Check out this tutorial to setup a WordPress blog. Take a few minutes to think about your ideal client profile. Knowing who you want to your clients to be and what they need will help you create visible, informative, relevant content. You can also imagine the perfect project— the kind of project that matches your firm’s specializations, pays well, and in which you have lots of experience. The person who wants that kind of project? That’s the client you should have in mind when writing your blog posts. Write about your expertise, your projects, about how you’re tackling certain problems, about what makes projects successful, about what you learned on a certain project, about what questions your clients have had in the past, about mistakes you see your peers often make—it’s up to you what to write about. Getting started is simple: just write valuable content on your blog and share it online. Take into account that in the first weeks and months, there will be very few people reading your blog. But if you write quality content (focus on quality over quantity), more and more people will gradually come to read your content. Eventually, you’ll rank higher and higher in Google searches. So, when people search for your version of “sustainable construction firm New York,” your website or one of your articles will rank on the top of the results page. Here are some ideas on what you could write about to get you started. Start writing blog posts with specific topics that answer the questions you think that client has. How do you know what they have questions about? Think about what you get asked the most about. When they email you, what are their general questions? What would be helpful information for them to know? Share valuable information, and give them the answers they are searching for. Don’t underestimate your own knowledge. If you’ve been working in the construction industry for a couple of years, there’s undoubtedly a ton of information in your head that other people will be interested in. Let’s take the example of sustainable construction. You could write about what makes a building durable, simple construction tricks with a big sustainability impact, which materials are good and which aren’t and why, or how to reduce waste during the construction process. And that’s just the start! By creating this content, you are not only positioning yourself as an authority in your field—you’re also attracting qualified leads and keeping them coming back for more. All you have to do is write it down and share it. Jason Fried advocates sharing content in your profession/field without fear of the competition “stealing” that information. What might seem like a simple process or idea to you, might be very valuable information to someone else. So don’t worry too much about having the information stolen—just write and share what makes you a good architect or contractor. Talk about your experience, the problems you have encountered and how you have solved or avoided them. Talk about how your company has grown and why. 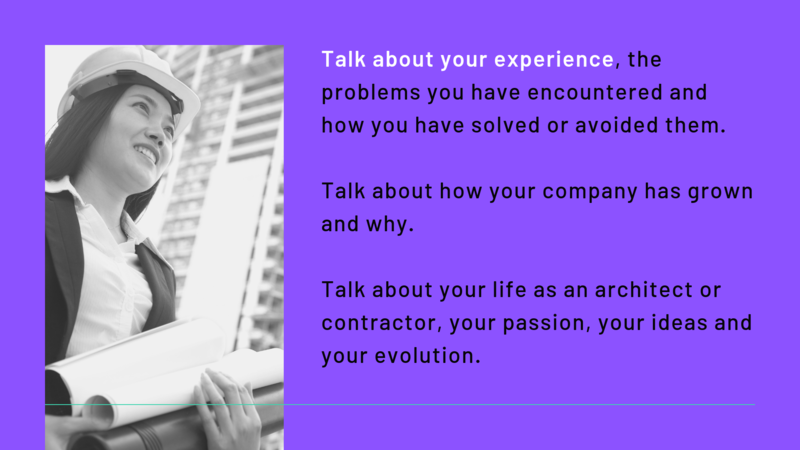 Talk about your life as an architect or contractor, your passion, your ideas and your evolution. Share what you know about how to become an excellent architect or contractor! Often companies fail at inbound marketing because they are afraid to share unique and valuable information with potential competitors. But the truth is, when you share, you build credibility, expertise and most importantly: an audience that trusts you. Want to see this in practice? We think the blog “Life as an Architect” does an inspiring job. A well-written client case study could be enough to turn a close lead into a client. Case studies work for two reasons. The first that people love reading stories. Instead of saying “We did this project and the client was happy” draw the story out. What was the issue or starting point? Reading a story about another project with a client who was happy with the product/service provided can really make the shift, especially when we can identify personally with that particular story. Additionally, they act as validation for your services—other people have worked with you are were happy with the result. It adds to your credibility and can show the potential client that you have experience and expertise. Does writing a case study seem like a lot of work? At the end of every project create you could share a handful of “Before” and “After” photos, clarify what the issues or scope of the project was, then explain what you did to tackle the project. 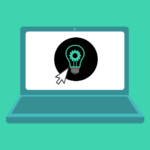 You could also share what issues came up and how you solved them for extra proof of your expertise—writing a blog like this could be done in about 30 minutes, and is a great way to showcase your work. Even if you just share weekly “project progress pictures” on Facebook and Instagram, which takes about 23 seconds per photo, you’ll be sure to attract an audience as well, collect some likes and shares, and show your audience you are still in business. Marketing does not have to be more difficult! Once you’ve written a post, share it on social media. Share it on sites you know your clients use, like Facebook, Twitter, LinkedIn, on an industry forum, or in a Facebook or LinkedIn group. Don’t get caught up worrying about the number of likes or reactions you get, just focus on sharing interesting, high-quality posts, and the likes will follow in time. Always include images: A link is pretty dry and boring and probably won’t stop a client who is doing a quick scroll through their Facebook, Twitter, or LinkedIn feed. Including an eye-catching, funny, or high-quality image will help draw attention to your update. 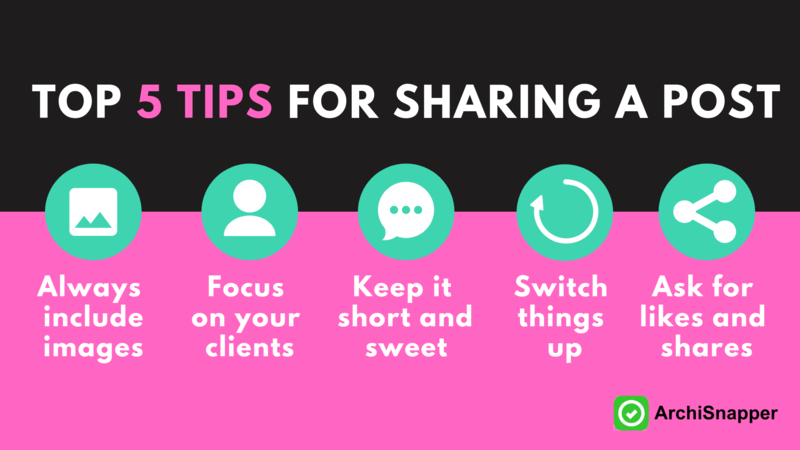 Keep it short and sweet: Make your posts short, and to the point when sharing an article—the idea is to get their attention and direct them to your article. A simple questions, a single statistic, or a snappy sentence is enough. Switch things up: Your posts on social media should be varied: links to your articles, videos that you think are helpful, links to other articles, and photos. Also, if you are sharing an article multiple times—make sure that you feature different images and write different things, if you don’t you risk fatiguing your audience (and creating a boring feed.) Variety is the spice of life, and this is certainly true on social media. Ask for likes and shares: Send it directly to people you know will read it, like colleagues and enthusiastically loyal clients. Ask them to read it, and if they thought it was interesting, to give it a like or a share—even having a handful of likes can raise an updates visibility considerably. This is important: Online content has an eternal ROI. When you spend your time, money, and energy on traditional advertising, after the ad runs, it is done. Let’s explain that with an example. Say you run an ad in your local newspaper. The ad costs you $480 and runs for one day. There is a chance that 100K people read this newspaper, but the likelihood of them reading each ad is very low—perhaps only 10% pay attention to the ads. But of that 1000 people, only 10% of them are actively looking for an architect at that moment, suddenly that impressive readership drops down from 100K to about 10 people who your ad might appeal to. While this is a simplified example, what we are trying to say is that it is not a great investment, and while it might render a few clients—there is a way to make that $480 go a lot further. Say your hourly rate is $60, and it takes you 3 hours to write a pretty great blog post, and an hour to share it on social media and perhaps in a newsletter to a handful of your past clients. The cost is about $240—half the cost of posting the ad. But here is the difference—maybe in the first few weeks, only 10 people read your article. But then, maybe 10 more people read it the week after, and the week after that. Even if the numbers are low: they keep going continually. So, instead of one shot to reach potentially 10 people with a printed ad, your article has the potential to keep gaining you clients for as long as it stays online. At ArchiSnapper, we have blog posts that are more than 5 years old and that are still attracting new people to our blog—and help grow our business. Those articles helped build our credibility, trustworthiness, and our SEO. So you write the article once, put it online, share it a couple of times, and it will be there forever, acting as a magnet attracting people who are searching for resources and services like yours. But it doesn’t happen overnight. It’s tempting to think that “buy your way out” with some (expensive) ads might be a quick fix . Content sharing is a long-term marketing strategy that takes some patience, but renders amazing results over time. Imagine how many leads would knock on your door if you would have been blogging every single month for the past 10 years about things your audience would be interested in. Content marketing helps you show up higher in Google search results, while at the same time helping your clients, and gaining you potential leads. It is a long-term strategy, but in terms of cost and effectiveness, it is one of the top ways to grow your audience and business. You have to stick with it, and put the needs of your clients at the forefront. If you haven’t already, subscribe to our email list via the red bar at the top of this screen to stay up to date with the latest technology, marketing strategies, and business tips for architects and contractors. Oh, and one more thing, please. It took us a few hours to write this post, but would take you just 2 seconds to share it. We’d be thrilled if you would hit the share button.